The gardening season is well and truly in full swing and many of us have planted out most of our veggies and are waiting patiently for them to grow. 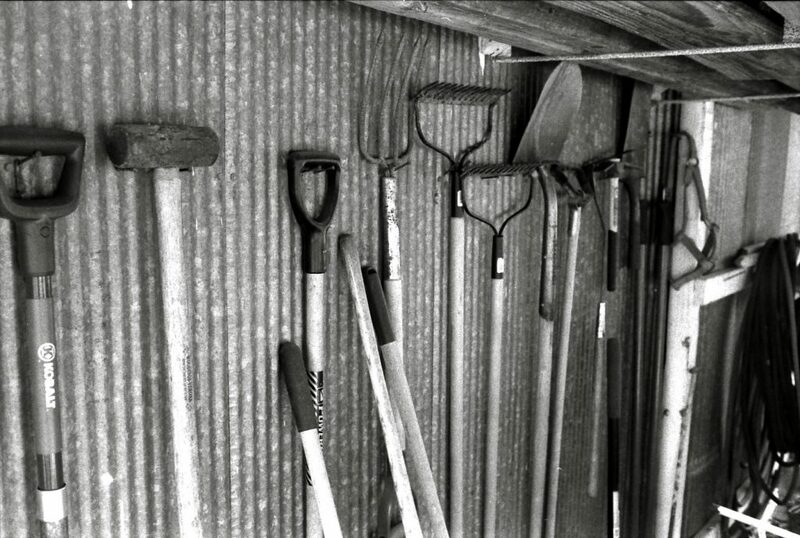 Along with the regular feeding and weeding, now is the perfect time to get your garden shed organized for the long (and hopefully warm) summer ahead. The warmer, dryer days are great for emptying your shed and reorganizing all that stuff that was thrown in there last year to keep it safe from the winter weather. Rummaging through a box of your small tools to find what you need can be a nightmare. By the time you’ve found what you were looking for, you’ve most likely forgotten what you were even going to do with it. Knife magnets, used to ‘stick’ knives to kitchens, are a great way to store all of your smaller tools such as pliers, scissors and paint brushes, so that they’re easy to get when you need them. 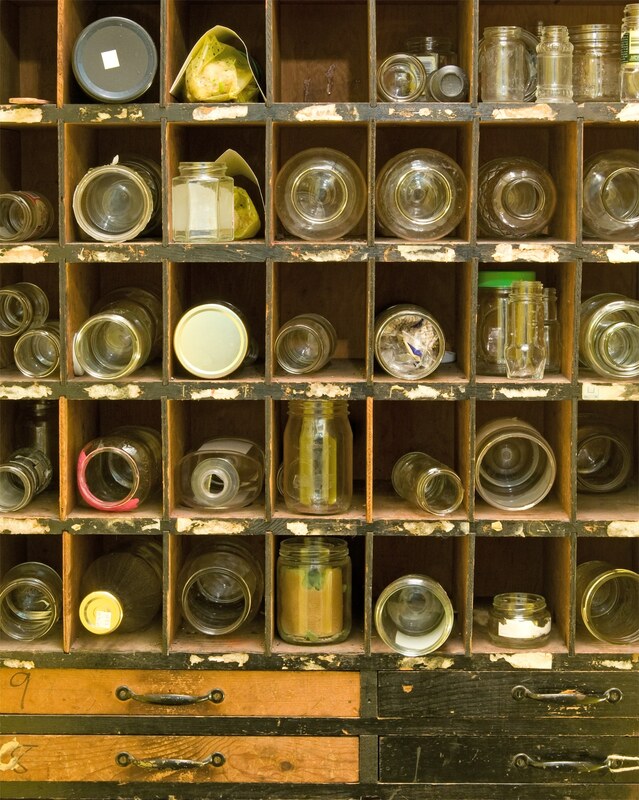 Once rinsed out, old jars and tins can be used to store screws and smaller paint brushes. Jars are great for nuts and screws, as you can easily see what’s in them. Tins are better for items such as pencils or small paint brushes. You could even ‘stick’ your soup cans to your knife magnet, to free up more of your surface space. Best of all, using jars and tins you were going to throw away is both environmentally friendly and free! Pick up some cheap metal baskets to fix to the back of your shed doors to store your most-used implements, such as gloves and twine, so they’re there immediately when you open up the shed. It also saves you from rummaging through cupboards to locate what you’re after. Yes we said the word ‘hooks’ three times but that just goes to show how important these little things are for a tidy shed. Use smaller hooks for hanging tiny tools and large hooks to hang spades, forks and rakes. 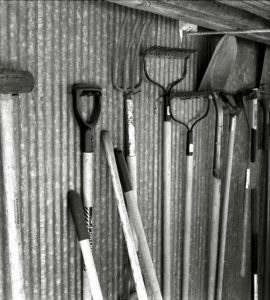 Speaking of rakes, old rakes make great hooks when fastened to your shed wall. When your broom breaks, don’t throw away the handle. Instead, screw two hooks into your shed ceiling and place the broom handle on them. This is a great way to store different types of tape. Spend some time organizing your shed this summer and clambering over your rakes and spades to rummage for that ball of garden twine, will be a thing of the past.